sometimes i unplug my laptop and go work on the couch, feet up. after some time, a ding-dong and a pop-up message kindly alerts me that the battery is low and i need to plug it back in before it shuts down. after i've been using my phone for a while, it buzzes to tell me there's 20 percent battery life remaining. even my car gives me a ding-ding to warn me when my gas tank is nearing E.
too bad children don't DING when their love tank is getting low. we have to watch for it in their behavior. by paying attention to my child's unspoken needs, i can tell when she needs me to fill her love tank. but... how? how can i show my children that i love them? what can i do, without words, that tells my son, "i love you"? how can i intentionally express love? and, how do i express my love in a way that is specifically meaningful to my child? i need to speak my child's love language. do you know your child's love language? the way your child responds to your expressions of love, what fills her love tank, depends on her love language. simply learning her love language will help you intentionally make her feel loved and fill her love tank to the brim. 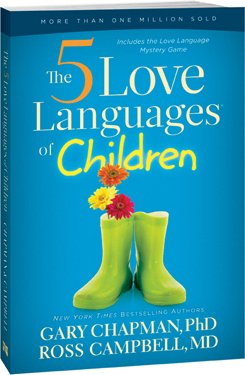 The 5 Love Languages of Children, by Dr. Gary Chapman and Dr. Ross Campbell M.D., applies the original 5 Love Languages concept to children, offering practical suggestions for learning how children interpret love, and ideas for expressing love in a meaningful way. 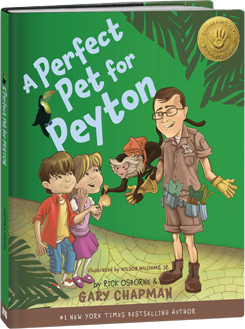 A Perfect Pet for Peyton is a colorful hardcover children's book by Gary Chapman and Rick Osborne that helps children learn the importance of love. this sweet and playful story is about five kids who discover their love language by exploring the unique pets in Mr. Chapman's Pet Emporium. Big Girl read this book and discovered the perfect pet for her is a cat. too bad Mama's allergic. does your child "spell love" T-I-M-E? does she respond best to spending quality time with you? carve out one-on-one time with her. fill her love tank by letting her stay up a few minutes later for special time with you, or let her help you cook, clean, or make the grocery list. any special time for just the two of you will make your child feel especially loved if quality time is her love language. some children, though, feel love in gifts. is your child over-the-moon-happy when he gets a present from Mom or Dad? does he cherish the smallest, tangible things that you give him? fill his love tank by writing him letters, pick a flower or find an unusual shaped rock and give it to him, or put a sticker or his favorite candy in his car seat as a surprise next time he gets in. it doesn't have to be something store-bought. what is filling your child's love tank is not actually the gift itself, but the gesture and the fact that it's just for him, from you. for children who's love language is gifts, it truly is the thought that counts. 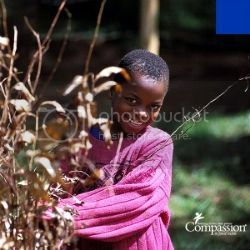 another way to fill your child's love tank is through acts of service. of course, as Moms, everything we do for our young children is an act of service. we feed them, dress them, change them, bathe them. and to some children, doing these things for them is extra special and they especially feel loved when you do these things. if you think your child's love language is acts of service, fill her love tank by doing one of her chores for her, take a minute and tie her shoes for her, even if she already knows how, organize her closet or toy box, or prepare her favorite meal for no special occasion. my personal favorite love language is words of affirmation. this one comes easy for me; it's my love language, and i think it's Bubba's love language, too. my compliments and praise over him fill his love tank to overflowing. every picture he colors, every tower he builds, every car he races, he isn't satisfied until he shows it to me and earns my praise. it makes his day to hear me say "good job," or "that's amazing!" if your child responds happily to your words of affirmation, fill his love tank by using your words. ask him about his day and tell him about yours. tell him "i love you" in a foreign language. let him overhear you complimenting him to someone else. some children feel an extra boost of love when you are affectionate. these are the little ones that always want to be in your lap, or are very good at staying by your side, holding your hand. for these children, a heartfelt hug from Mom goes a long way. 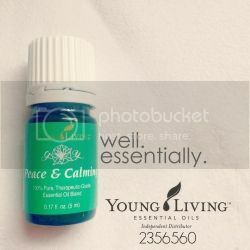 fill your affectionate child's love tank by giving more, and longer, hugs. steal a kiss when you lift her out of her highchair or carseat. snuggle for a few minutes at bedtime. give high-fives or have a secret handshake that only the two of you know. blow zrrberrts. scratch her back. hold her hand while you're talking. telling your children you love them is awesome. don't ever stop doing that. show them you love them by speaking their unique love language and be intentional about filling their love tank. 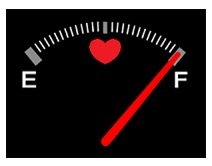 what fills your child's love tank? leave a comment and be entered to win a copy of A Perfect Pet for Peyton AND The 5 Love Languages of Children. 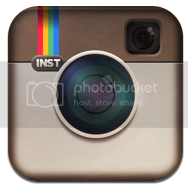 winner will be randomly selected on 4/27. 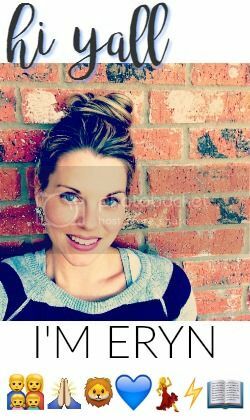 full disclosure: i received one or more of the products or services mentioned above for free in the hope that i would mention it on my blog. still, i only recommend products or services i use personally and believe will be good for my readers. speaking my child's love language is something i truly believe in for intentionally expressing my love.